The 2019 Ford Fusion has standout features that set it apart from most of the competing midsize cars. The Fusion offers great value for new car buyers and also offers great standard and optional features. The Fusion also offers car buyers their choice of four engines. Also available are the Ford Fusion Hybrid and Ford Fusion Energi, which incorporate electric engines for better fuel economy and less emissions. The 2019 Ford Fusion features a very attractive list of standard safety features. Every Ford Fusion comes standard with the Ford CoPilot 360 safety package. This is a class leading lineup of standard driver technology features. 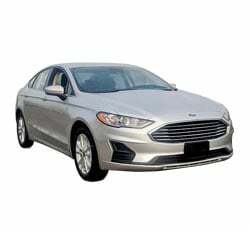 The Fusion will attract many buyers with it's well rounded approach to the midsize car category. The Ford Fusion has a new exterior look for 2019. It features two new grille designs and three new colors: rich copper, agate black and velocity blue. Ford has done away with the Platinum trim level for 2019, but has again included the Ford Fusion SEL trim. It also offers the four engine options at differing trim levels compared to 2018. The base model Fusion S comes with a variety of standard safety technological features. The Fusion S comes equipped with a rearview camera, lane keep assist, and blind spot monitoring. Ford has also thrown in forward collision warning and mitigation, and pedestrian detection. The base engine is a 175 horsepower four cylinder engine. It comes standard on the Fusion S. It is a capable engine with a no frills approach to acceleration and torque. It gets a respectable 21 mpg in the city and 31 mpg on the highway. At the higher trim levels the driving excitement really heats up. The 2019 Ford Fusion offers three EcoBoost engine options. The Ford Fusion SE comes with a 181 horsepower turbocharged 1.5 liter four cylinder engine that gets 21 mpg in the city and 34 mpg on the highway. Also available in the SE and standard on higher trims is the 2.0 liter turbo-four with 245 horsepower. Buyers can upgrade the Ford Fusion from the standard voice activated SYNC system in the Fusion S. Available in the Fusion SE is the upgraded SYNC 3 infotainment system with color eight inch touch screen. The SE also offers WiFi Hotspot capabilities, Apple CarPlay and Android Auto. There navigation and satellite radio are available from Sirius XM. The WiFi Hotspot capabilities of the Ford Fusion are very advanced. The FordPass Connect system allows up to 10 devices to be connected to the 4GLTE hotspot at once. The range of the hotspot extends 50 feet from the vehicle. The app also lets buyers monitor data usage. For unbridled power in the Fusion, buyers can upgrade to the Fusion V6 Sport which features a 2.7 liter twin turbo V6 that cranks out 325 horsepower. The V6 EcoBoost sets the Fusion V6 Sport apart from rivals with some of the best horsepower in the class. The V6 Sport also integrates continuously controlled damping suspension, which senses and reacts to potholes and adjusts suspension for exciting driving. The V6 Sport and Fusion Titanium also feature electric power assisted steering. The steering system adjusts to give the driver a more precise steering feel at higher speeds and more turning power at lower speeds. It also adjusts the steering to compensate for drift related to a crowned road or even crosswinds. It is a responsive steering system that also eliminates vibrations during bumpy driving conditions. The Ford EcoBoost engine lineup has advanced features like turbocharging, direct fuel injection and twin independent variable cam timing. This means better performance and efficiency. The EcoBoost engines also come paired with a six speed automatic transmission and steering wheel mounted paddle shifters. Also available is the automatic start and stop feature for added efficiency. The engine will shut down when stopped for a longer length of time and start back up when the driver's foot comes off the brake pedal. Buyers of the Fusion SE, Titanium and V6 Sport can benefit from Ford's Intelligent All Wheel Drive system. The AWD feature is an option on SE and Titanium Fusions and standard on the V6 Sport. It independently shifts drive power to the front and rear wheels to maximize traction and handling. The 2019 Ford Fusion base model comes standard with push button start, backup camera and technological safety assistance features, but the upgrades at higher trim levels are very desirable. The upper trim levels offer refined upgrades like sport front seats, ventilated seats, heated steering wheel and 12 speaker audio system. There is a lot to like in the upper trim levels when it comes to features. Ford MyKey comes standard with every 2019 Ford Fusion and is a great feature for buyers that have young drivers using the car. The MyKey system promotes safe driving by letting the owner set limits for those driving the car. The system allows the owner to limit top speed, set a maximum audio level and require seatbelt use. The 2019 Ford Fusion S comes standard with a 175 horsepower base engine. It can make the Fusion feel sluggish at times and also gets about average fuel economy for the class. The Fusion S also comes standard only as a front wheel drive car. 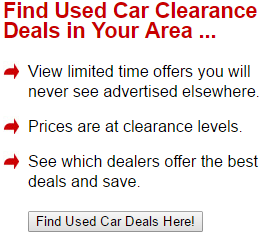 The ability to upgrade these features is only available at higher trim levels. Ford provides 2019 Ford Fusion buyers with a three year or 36,000 mile basic warranty and a five year or 60,000 powertrain warranty. While this is an average warranty for the class, some manufacturers offer much better warranties. The Ford Fusion S features a SYNC voice activated infotainment system and a four speaker audio system. Buyers will have to upgrade trim levels to get access to the eight inch color touch screen featuring the SYNC 3 system. The 2019 Ford Fusion checks all the boxes of a good midsize car. It has comfortable seating for five people and plenty of headroom. It also has good cargo capacity in the trunk. The expanded options of engines also works in its favor. Compared to some of its competitors it falls short in some areas. The Toyota Camry offers a peppier base engine and an upscale interior. It also offers similar standard and optional features. The warranties and base prices are similar between the Camry and the Fusion. The Camry also features excellent predicted reliability scores. The cars may be too close to call for some buyers. The Hyundai Sonata is also a quality vehicle in the midsize car category. It offers a standard touchscreen infotainment system, better warranty and fuel efficiency, and a slightly lower base price compared to the Fusion. The cars are similar in cargo space, though the Sonata offers less rear headroom. 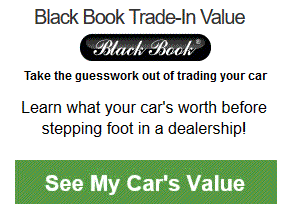 Again, buyers will have to look closely at each car to find any advantage one has over the other. The 2019 Ford Fusion makes a great first impression with updated styling in 2019. It also features a multitude of engines and optional AWD. Inside it features a great standard safety package with the Ford Co Pilot 360 technology package included at all trims. The safety features are very advanced and include: pre collision assist, automatic braking and blind spot awareness. The interior seats five with plenty of leg and head room. It offers some very attractive upgrades such as sport seats in the front, ventilated seating and heated steering wheel. The 2019 Ford Fusion also offers great cargo space in the trunk. The infotainment system can also be upgraded to include an eight inch color touch screen with Sirius XM, navigation, Apple CarPlay and Android Auto. The Fusion will make an attractive offering for many car buyers looking for a quality daily driver. 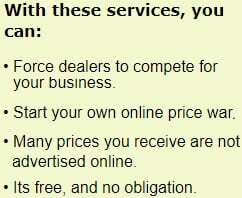 It also offers unique variations for many discerning buyers. The V6 Sport, the Hybrid and the Fusion Energi EV are a great addition to the lineup of Fusions available.